The Purifying Acne Program is a treatment course designed specifically to treat acne while also eliminating acne scars. 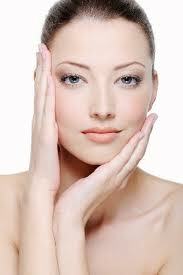 The Clarifying Facial begins the treatment course to improve skin clarity, reduce blemishes, and soothe inflammation. This facial calms and accelerates the skin’s clarifying process and is the perfect prelude to the first IPL Acne Laser Treatment. The program leverages two IPL Acne Facials; treatments that together help to diminish whiteheads and blemishes by targeting breakouts before they happen. IPL Acne Treatments proactively target acne using different light frequencies to dissolve cystic breakouts and are effective towards addressing both p-acne bacteria and subcutaneous acne. Between the two IPL Acne Treatments, the program implements the Micro-Scrub Focused Extraction Facial to eliminate stubborn acne while gently exfoliating the skin. 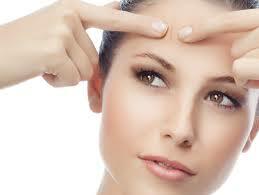 Additionally, an intermediary Cleansing Facial is used to remove any residual impurities and congestion. Following the second IPL Acne Treatment, the Relaxation Facial aims to calm the skin in preparation for a Natural Acid Peel. The Natural Acid Peel helps to promote the growth of healthier skin, with acne scars less visible following the treatment. A perfect denouement to this program, the Carbon Spectra Peel concludes the program and solidifies its results by powerfully exfoliating the skin while reducing the appearance of acne scars. The Purifying Acne Lite Program is a perfect alternative for individuals with less severe acne, or skin that has more recently became prone to breakouts. The treatment includes the two IPL Acne Laser Treatments as well as several targeted facials to successfully treat and proactively address acne; however, the focus on acne scar elimination is removed from the treatment course. The Refining Facial Program is a targeted treatment regimen for pigmented skin. The program begins with the Cleansing Facial to prepare the skin for the first Carbon Spectra Peel. The Carbon Spectra Peel when used in conjunction with Photo Facials has the ability to powerfully target pigmentation problems. As a result, this program marries these treatments in two stages interrupted only by the Vitamin C enriched Enbrightenment Facial. The Enbrightenment Facial, meanwhile, is critical towards treating pigmented skin because it combines the EmerginC Vitamin C Plus Retinol Mask and concentrated 20% Vitamin C Serum. The synergy between these cosmeceuticals operates to give the skin a visible boost, remove dead skin cells, even skin tone, brighten the complexion while also fighting sun damage and improving the underlying pigmentation problem. Finally, as a result of the full treatment course, pigmented skin rises to the surface. 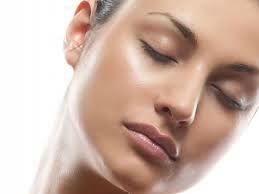 At this stage, the Natural Acid Peel eliminates the pigmented skin by removing three superficial layers. The Aqua Facial helps to alleviate dehydrated while simultaneously improving tone and complexion. The program begins with the Hydrating Facial which aims to balance the skin’s requirements for oil and water, followed by a Carbon Spectra Peel. The Carbon Spectra Peel is celebrated for addressing tone and complexion issues with results immediately visible following the very first treatment. The treatment course continues with a Photo Facial 7 days following the Carbon Spectra Peel; a secondary precaution to target discoloration in the skin. Finally, the treatment concludes with the Vitamin C enriched Enbrightenment Facial, thoroughly nourishing the skin for that perfect glow.